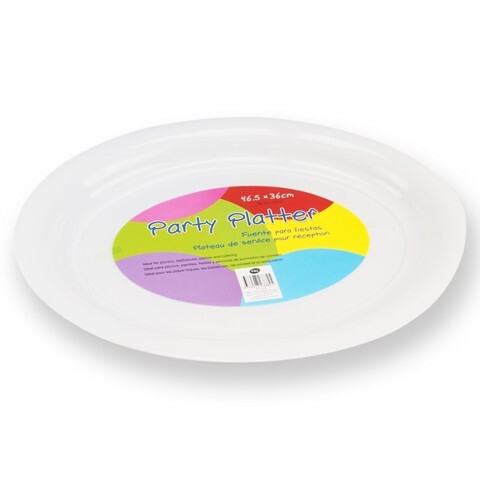 Serving Platter Ovalpl. 46X36Cm. 46 x 36 x 4cm. White. PP Plastic. 160G Packaging: Colour Sticker.